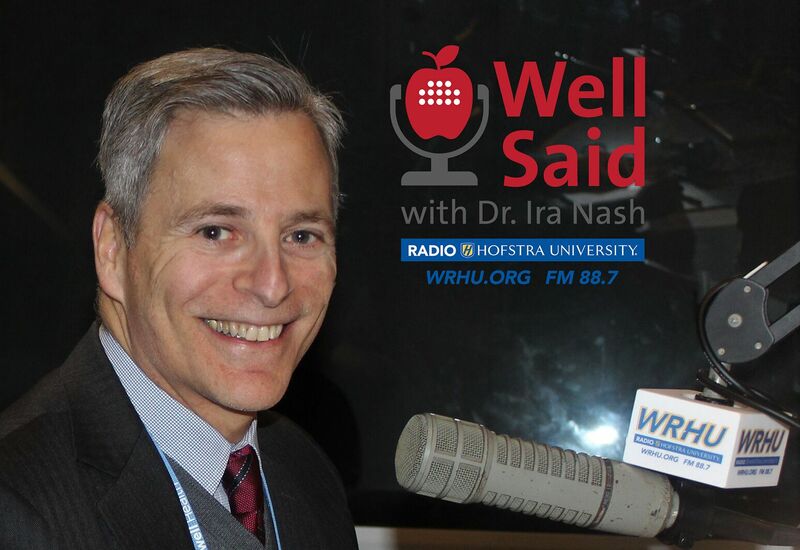 The Donald and Barbara Zucker School of Medicine at Hofstra/Northwell is taking health education to the airwaves with the launch of their new weekly, half-hour radio show, Well Said with Dr. Ira Nash. The Donald and Barbara Zucker School of Medicine at Hofstra/Northwell is taking health education to the airwaves with the launch of their new weekly, half-hour radio show, Well Said with Dr. Ira Nash, scheduled to premiere on Monday, Feb. 11, at 4 p.m. on WRHU 88.7 FM, Radio Hofstra University, an award-winning radio station celebrating 60 years of broadcast this year. Well Said host, Ira Nash, MD, a professor of cardiology at the Zucker School of Medicine and executive director of Northwell Health Physician Partners, says the radio show is an outreach opportunity for the medical school to educate people of all walks of life about issues related to health and wellness. The program will also highlight the wealth of knowledge, expertise, and resources available in the local area. Episodes of Well Said will be available on medicine.hofstra.edu/WellSaid beginning Feb. 11. To send comments, questions or suggest topics for future broadcasts, listeners are encouraged to email [email protected].